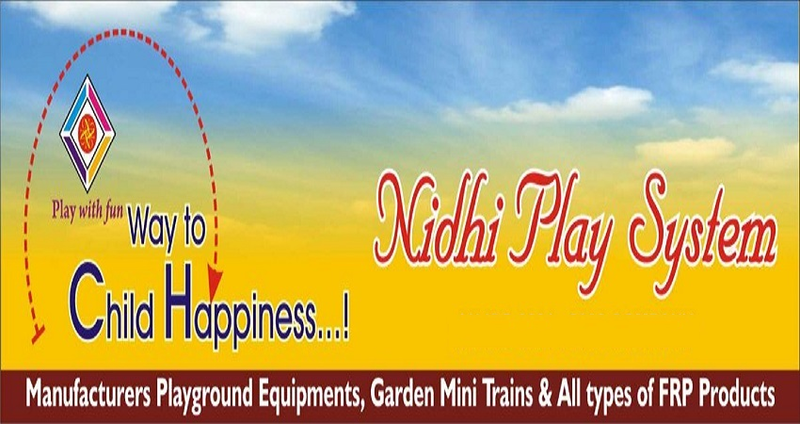 Nidhi Play System was established in the year 2010 as the most promising manufacturer of next-generation Playground Equipment. After seven successful years of business, our phenomenal expansion equips us to bring forth a wide gamut of modern-day playground equipment including Playground Slide, Park Multiplay System, and See Saw. Owing to our quality commitment, our company has been led to a period of sustainable growth that harmonizes the comprehensive list of beneficial features of our offered product range. We have gained wide appreciation amongst our prestigious clients for the offered design, premium finish, rust resistant properties, and durability. 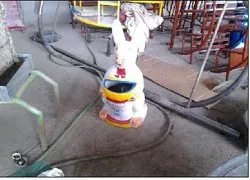 A period of rapid growth began for our company when our manufactured playground equipment are widely installed at a large number of schools, public parks, and residential buildings. Our purpose built premises plays a significant role in our success. We have implemented leading technology that equips us to incorporate the innovative designs into a play system. We are dedicated to surpassing the expectations of our strong client base, which makes a continual growth for our brand competency. Mr. Akash Dubey is the driving force behind our focused business strategy. His rich industrial expertise and leadership qualities motivate us to make quality the focal point of every business activity. Owing to his valuable guidance we have become able to sustain our product development abilities and a nurtured growth for the company. Our team comprises of people who are synonymous with expertise and innovation. Every member of our team strives to make our company the preferred choice. Hence, we owe our rapid success to the hard work and passionate efforts of our product designers, manufacturing experts, quality controllers, trained technicians and engineers, and skillful sales and marketing personnel. The diverse outlook and rick skills set of our team members make us able to create a firm base for a growing customer base. To accommodate the successful growth we have upgraded our infrastructure, which is sprawling across a large area and designed on modern concepts. 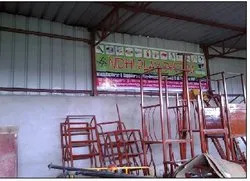 Our company premises encompass highly functional units for manufacturing, testing, packaging, warehousing and distributing. Every department is packed with technological advancements that help us to combine product quality with innovative design ideas. Moreover, hyper-connected work set up equips us to perform our business operations efficiently. Leveraging on transparent dealing in and maintaining quality oriented approach in our business activities, we have become a preferred choice of our customers. With almost half a decade of experience in this domain, we have been able to meet the growing demands of clients in terms of their specific requirements. The professionals in our unit including engineers, quality controllers, machine operators, sales & marketing executives, and warehouse personnel work in close cooperation of each other that allows them to complete all the processes in a timely and effective manner. They have in-depth knowledge in this domain and are also offered with requisite training to keep themselves aware of the changing market trends. It is their meticulous efforts that have enabled us to become the foremost choice of our clients. We take pride in our brand strength that is based on the founding principles of being the partner of choice. We believe in leveraging our expertise to anticipate the desires and fantasy of children. Moreover, we have made long-term strategic partnerships with industry’s recognized vendors and logistics companies to ensure our clients with the delivered quality. Our commitment to quality makes us accountable to serve competitive price that already won us a reputation as a trusted business entity.